The Volvo Ocean Race announced today that North Sails is the exclusive sail supplier for the 2017-18 edition. One of the ocean’s toughest races, the VOR draws the world’s most skilled offshore sailors to compete in a highly competitive drag race around the planet. Equipping teams with the industry’s most reliable high performance products is paramount to the success of the Volvo Ocean Race, it’s sailors, sponsors, and fans across the globe. North Sails has been deeply involved in the Whitbread and Volvo Ocean Race since the mid-1980’s. 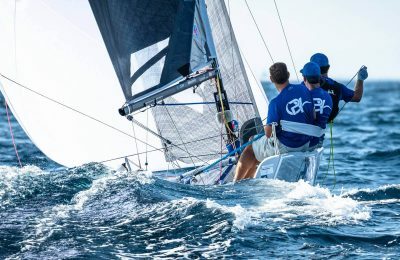 Collaboration between North Sails and Volvo Ocean Race programs has lead to breakthrough technology, most recently North Sails 3Di ™, which was born in response to skipper requests for reliable shape holding, durability, and of course lightweight, performance sails. ever — a valuable advantage in any one design competition. The 3Di product’s unique construction process allows for repairs that do not compromise the structural integrity of the sail. With a tightly designed inventory, both durability and ease of repair are key. The North team looks forward to working together with Volvo Ocean Race to further push technical and durability boundaries to new territories. For 2017-18 the VO65s will be equipped with 100% 3Di inventories, pushing latest technology to the downwind sphere for the with the introduction of 3Di FORCETM. 3Di Force boasts downwind performance characteristics of unmatched stability, high tenacity, UV resistance, and low water intake. Produced on a 3D mould, 3Di FORCE runners will benefit from unmatched design execution, making the ranges more precise when sailing on the ocean. “The team at North Sails especially looks forward to continuing our development and execution of cutting edge products with the Volvo Ocean Race. This will be my fifth design generation with this ever challenging race and ultimately our goals and motivations are the same – make for a trouble free race, exciting for all the right reasons!” – Gautier Sergent, 2014-15 VOR Designer of Record and Manager of North Sails 3D. 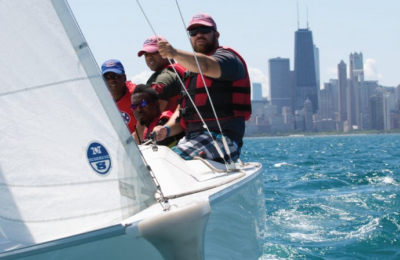 North Sails 3Di ENDURANCE is preparing sailors the world over to #GoBeyond. Discover more at NorthSails.com, on Facebook (@North Sails), Twitter (@NorthSails) and Instagram (@north_sails).